And it is that Chinese medicine is based on prevention of disease by keeping healthy and living with nature, as law professor Liu Zhang in his book “Traditional Chinese Medicine Living without illness “(Editorial Oberon). “The best doctor is not the most patients have, it is he who is able to teach how to live according to the conditions of nature and of the person himself,” says the doctor born in Beijing where he graduated in Traditional Chinese Medicine. “There are excellent results for the prevention of colds and seasonal allergies, typical of the changing seasons hypersensitivity because the elements are unstable and our body also becomes unstable causing stress to the immune system. In the end, are another element of nature, “he says. “Not the panacea, it is not good to say that acupuncture is useful for all. For the better conditions than others patient. The important thing is that the sooner we anticipate the disease, there will be better results, “said Liu Zheng who is a professor in acupuncture at the Rey Juan Carlos University in Madrid.The acupuncture is one of the ancient pillars of Chinese medicine whose results have been confirmed by scientific studies, especially smoking cessation to improve sleep, for stress or digestive problems, among other ailments. But there a result the patient has to get involved to make your lifestyle also is consistent with the improvement you are looking for. 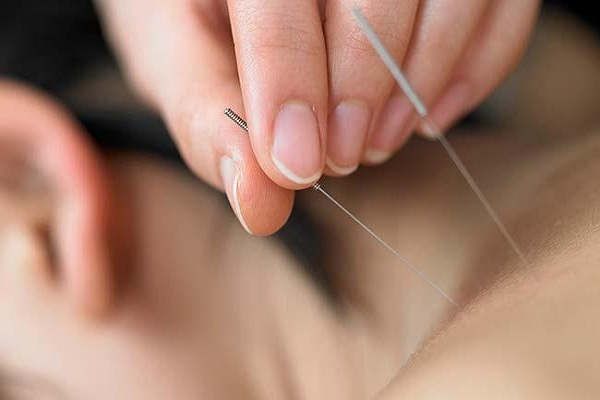 “Some people think it is something miraculous and, without putting anything on your part, will achieve the goal, but acupuncture is a driving factor but requires the patient’s own will to succeed,” he says. And that is what happens, for example, when resorting to acupuncture to lose weight. If there are no changes in diet and physical activity increases the results will be less effective. “Acupuncture facilitates and improves digestive processes enable slow metabolism and burn calories. Get calm anxiety and impulsive of eating that promote obesity. It also encourages the person to rest better and so their organs work more efficiently and do more and that encourages them to continue with the process of food and sports regulation. Nothing is miraculous, “says the expert. For the doctor, many of the ailments that come in your office could have been prevented or solved by simpler methods and focusing not only on the physical but the emotional that may underlie behind them. “You have to understand why the disease has appeared, how the way to recovery is and especially how to prevent that situation again. In Chinese medicine the patient is involved in the process, change the way of life, change breaks, small factors add up and can harm them or improve health ·. “For me the two medicines are needed, but above all we must have an open mind. There are many scientific studies that support the Chinese medicine, although there is a very large area for further research. “For Dr. Liu Zheng, the best care option is integrative medicine, which is based on Western medicine but adopts Chinese medicine therapies such as acupuncture or herbal (medicinal plants). As a member of the commission of acupuncture of different professional associations, Professor Zheng is shown against those who are dedicated to practicing these alternative therapies without any training. But criticism of western medicine that focuses onthe body regardless of the mind as cogs in a disease or drug use per system without resorting to methods before or natural remedies that are less aggressive. “The problem is not the medicine itself, but in the system for preventing personalized medicine. It is essential to listen to the patient, not just treat physical symptoms also have to address their concerns “, considers. And that a good doctor, Chinese and Western, must meet humility, altruism, empathy, compassion, non-judgment, pure heart and calm and lead by example, says Dr. Liu Zheng.